Blinds are a great addition to your homes to spruce up your rooms. 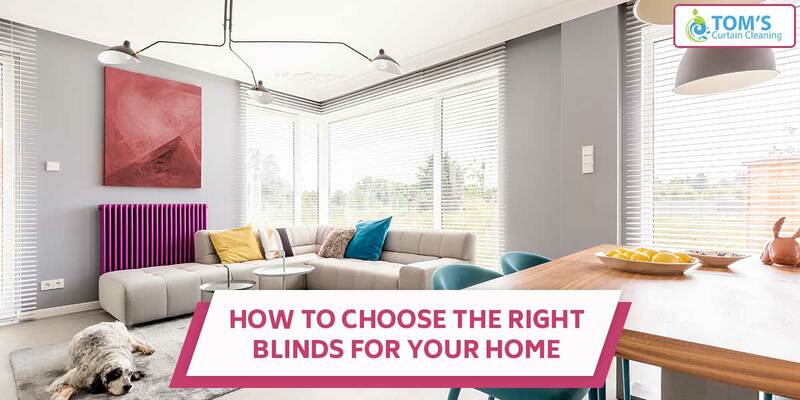 You can choose different types of blinds for your home and choose them as per the colour of the walls, or any other type which you wish to add to your rooms. Believe it or not, blinds do add to the looks of your homes. Windows are the main speculation in your rooms and you do want them to look attractive, something which blinds makes them. However, choosing a proper type of blinds could be a major task just because they are made of different materials for different room types. You must consider a lot of factors before you decide to go with a particular type of blinds with your rooms. These factors include the colour of the blinds, ways of blind cleaning and a lot more. People usually make the mistake of choosing randomly any kind of blinds for their rooms, which ends up in the ruining of these blinds in a short period of time. To help you choose the best, we are here to help. The next time you are looking forward to buying blinds for your home, make sure you consider the following factors. Blinds are made in different materials, which includes, fabric, wood, aluminium and even plastic. Each of them requires a different method of cleaning. It is important that you consider all the factors of the room including the environment of the room, before you decide to choose a particular type of blinds for it. Different materials blend with different environments, so choose wisely. One of such examples is that if you want to reduce the echo in your rooms, you can choose the fabric blinds. Before you go with a specific colour of blinds, just make sure it complements the colour of the room where you are going to install them. It is always a wise choice to choose such a colour which would go according to the colour of your rooms. However, we do recommend going for simple colours because they are the ones which blend totally with your rooms and don’t look odd. Blind cleaning is another important factor which you have to consider before you buy blinds for your rooms. The materials like wood and aluminium usually need wiping with a damp cloth for cleaning and it is easy to clean then. However, other types, like fabric blinds require spot cleaning with warm water. Just make sure you are totally aware of how to clean them. Another important factor while choosing blinds is safety. How? Well, there are different types of blinds which you might want to consider, the safer ones actually. If you have children in your home, you might want to go for cordless blinds which are pretty safe than corded blinds. The blind cords and the linking chains might seem fun for the kids, but it is actually dangerous, so you might want to resort for the cordless ones. To know more call Toms Curtain Cleaning Melbourne on 1300 068 194 to get same-day, onsite services.